When it comes to social media marketing, Facebook is still the monster site to set your efforts on. While many businesses have Facebook pages and do some form of campaigning, nothing beats the amount of exposure you can get from Facebook Pay Per Click (PPC) advertising. This advertising is highly targeted to show up to the right people at the right time. While direct sales on Facebook remain low, using PPC ads for lead generation, or getting potential customers to like your business Facebook page and enter a contest is at an all time high. 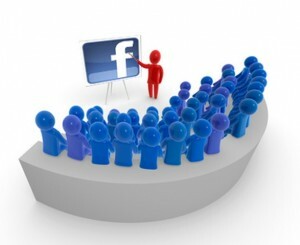 Converting Facebook followers into paying customers from that point becomes much easier with the right marketing efforts. Facebook PPC ads show up on the right hand side of users Facebook profile pages that fit the category information that you choose when you create your ad. Being able to choose the category and keywords that will most likely catch your target market’s attention means that you must have an in depth knowledge of your target market. This will create the best return for your investment. Test Facebook PPC ads every seven to fourteen days to adjust them for better performance. Running analytic reports through your favorite analytical software will help you determine how effective each ad version is. You can also check Facebook stats to find out what is working best. When you test a variety of images, descriptions and headlines, you will find the winning combination and that is the one to stick with. Make sure each Facebook PPC ad has a clear and easy to follow call to action, otherwise there is no point of spending the money. You might offer a free product, or an opportunity to join a contest if people “Like” your business Facebook page. While some businesses do sell directly through these ads, knowing your target market will determine if that is the best use of the ads for your industry. Sometimes they are more effective when you are offering something for free in order to generate leads you can market to further down the road. While you are testing and adjusting Facebook PPC ads, make sure that the landing page that users will land on when they click on the ad is compelling and easy to understand. If potential new customers have to search too much for important information, chances are they will just click away from your page without taking any actions. You will find when you use these best practices that Facebook PPC ads can be very effective for your business. The return on investment may not come as quickly as with other ad types, but it will come when you have the right combination of marketing. You will also have the opportunity to expose your brand to millions of Facebook users that may have otherwise never heard of your business. Is Social Media Advertising Going to Challenge Google PPC? Love Energy Savings, who compare business electricity and gas prices, have launched a social media campaign on facebook in order to educate the UK on how to save money.